Berdon LLP/HOT TOPICS / INSIGHTS/Industry Insights/Mining & Taxes: Hi Ho, Hi Ho, It’s off to the tax man it goes…or is it? Welcome back and I hope you all hummed and/or whistled a little bit thru the title of this piece. As you might have guessed, today I’m going to discuss the tax implications of mining crypto assets (“crypto”) and the effects of the recently passed Tax Cuts and Jobs Act (TCJA) on this line of business. For those not familiar, mining crypto is predominantly associated with the consensus mechanism Proof of Work (PoW). A consensus mechanism is the way in which a network/blockchain platform collectively reaches agreement regarding the validity and legitimacy of transactions. PoW is currently the mostly widely used method and is the backbone of Bitcoin and countless other cryptos. “Miners” is the name given to those grouping and confirming transactions into blocks through use of specific algorithms depending on the crypto and blockchain involved. In order to finish and confirm a block, the miner (also sometimes called a ‘node’) has to figure out a complex math equation, the purpose of which is solely to make sure the node (computer processor) works extremely hard and uses a lot of electricity. In return, the node is awarded some currency, a “block reward”, if it figures out the equation, plus transaction fees. This block reward is the creation/generation/release of additional coins/tokens into circulation, thus the terminology “mining”. All around the world there are computers set up trying to be the first one to solve the equation and receive the block reward; the likelihood of solving the equation is directly tied to the amount of computing power utilized. For this reason, it is common for many users to pool together their computing resources into a conglomerate, known as a “mining pool” in order to have a more consistent income. Therefore, with the basic understanding of what mining crypto means, we can now move onto the always thrilling tax consequences. Revenue Ruling 2014-21 (aka, “our only/go-to-ruling”) instructs that “when a taxpayer successfully ‘mines’ virtual currency, the fair market value of the virtual currency, as of the date of receipt, is includible in gross income.” Additionally, “[if] a taxpayer’s ‘mining’ of virtual currency constitutes a trade or business and the ‘mining’ activity is not undertaken by the taxpayer as an employee, the net earnings from self-employment…constitutes self-employment income and are subject to the self-employment tax.” These consequences are easy enough to understand and are analogous to many other businesses. Receipt of mining block rewards and/or fees should be treated, by the taxpayer, as gross income at time of receipt. On the expense side, mining operations require primarily large amounts of computing power and significant utility cost. Purchases of equipment–such as computers, graphics cards, software–for use in a mining operation are often eligible for immediate expensing under Section 179, which is subject to certain limitations. However, these items may be eligible for 100% bonus depreciation under the TCJA. When taking bonus depreciation on assets, it is always worth knowing the applicable state and local tax rules as many states–including New York, California, and many more–do not accept this Federal provision and require regular depreciation over the statutorily-defined life. Many states also limit the Section 179 expense available far lower than the Federal threshold. Additionally, utility expenses should be deducted from gross receipts in deriving net income from the mining operation. If operating the mining business out of a residence, a reasonable utility allocation to the mining operation will be the excess of the current bills over the historical “pre-mining” expenses (if such records are available). Preferably, the mining operation would track its energy output and know the electricity cost in the area to derive a more accurate utility expense. Lastly, other expenditures properly allocable to the mining business—such as employee wages, payroll taxes, and conference fees—should be accounted for in deriving net income. Once the general items comprising the net income of a mining operation are clear, the discussion now turns to form of business. A few specific TCJA provisions directly affect, both positively and negatively, the tax consequences of a mining business. Code Section 199A (read more about the new 199A provision here) provides a deduction of up to 20% of certain domestic qualified business income from partnerships, S Corporations or sole proprietorships (or single owner limited lability companies) for a tax year, effectively lowering the top marginal federal income tax rate on this income from 37% to 29.6%. The deduction is generally limited to the greater of (1) 50% of W-2 wages paid by the business, or (2) the sum of 25% of the W-2 wages plus 2.5% of the unadjusted basis of certain property used to produce the qualified business income. 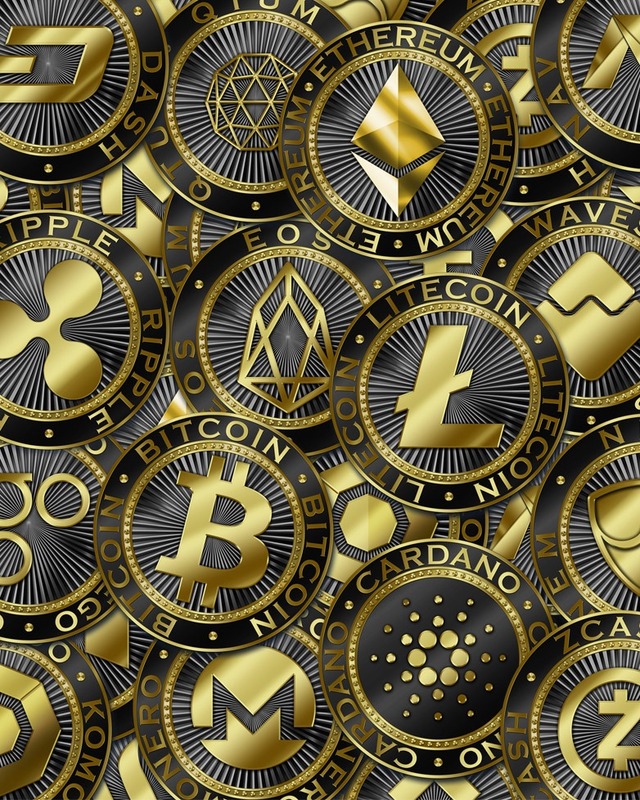 Income from certain specific service trades or businesses is excluded from the 20% deduction; however, it appears mining of crypto would be eligible. Furthermore, wage expense aside, the cost of mining equipment (which in many times is very significant) will provide a healthy amount for the 2.5% property limitation. This limitation applies to the unadjusted cost of property, so utilizing 100% bonus depreciation does not reduce the basis for this calculation. Furthermore, for assets with depreciable lives of less than 10 years—including computers, machinery, software, which depreciate over 3 to 7 years—the unadjusted basis of such property is taken into account for 10 years in computing the 2.5% limitation. While 199A is a positive tax provision, a few other TCJA enactments are not as friendly. Code Section 163(j) (read more about 163(j) here) can limit the deduction of business interest to 30% of adjusted taxable income for larger mining operations that use debt financing. For this provision to apply, certain gross receipt thresholds ($25M) must be met by the business, or when aggregated with affiliated businesses of the taxpayer. Additionally, the 80% limitation of net operating loss (NOL) use and excess business loss limitation may come into play for unprofitable mining operations, common in early years, or those that generated tax losses through substantial bonus depreciation expense. These two provisions essentially curb the utilization of certain losses in ways that didn’t exist prior to 2018. Lastly, reduction of the federal corporate income tax rate to 21% could prove enticing for some mining businesses looking to recycle funds into operations. Assuming no funds exit the corporation, such as from corporate dividends, on a net after tax basis, it might be more economic to operate the business as a C Corporation. Of course, this decision should never be taken lightly and requires significant financial and tax analysis to ensure proper decision making upfront (read about C corporation considerations here).